This week in the Reusable Packaging News, IFCO Systems has announced a new peer reviewed RPC Life Cycle Analysis study showing the benefits of reusable plastic containers (RPCs) for the shipment of fresh produce. The study conducted by Franklin Associates shows the IFCO solution to generate 82 percent less solid waste, consume 92 percent less water, require 49 percent lower energy demand, and lower ozone depletion by 76 percent for a weighted average of 10 top produce commodities compared with shipping the same amount of produce in display-ready corrugated boxes. 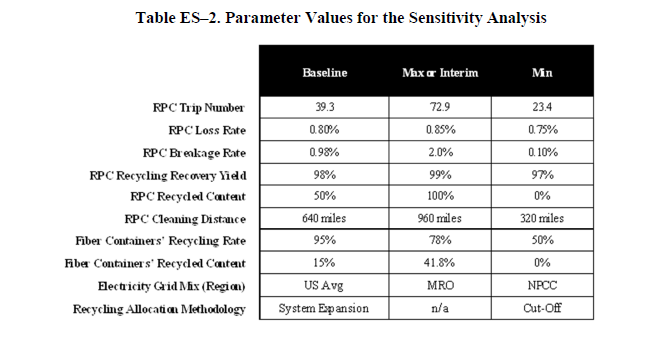 RPCs were assumed to be reused to the tune of 39.3 trips on average, with 98 percent of single use corrugated containers recycled. See related inputs in the accompanying table. This leads us to the question of whether one can really trust LCA reports, with concerns about greenwashing and questionable data. 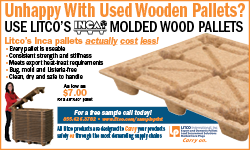 The short answer is that while there have been instances of self-serving LCA work in the past (like the ridiculous assumption of single – trip wood pallets being used only once, to name just one), ISO 14025 and 14040 now standardize the practices and assumptions underlying LCA calculations. Click to read more about the Myths of Life Cycle Assessments. Also in the news, we report on the struggles of the Canadian Pallet Council. While the pool has endured gradual losses over the years, the decision of the largest Canadian grocery distributor to no longer return CPC pallets to trading partners created a tipping point. No upside was offered at the Annual General Meeting this week. Read more about the Canadian Pallet Council`s situation. My relationship with CPC goes back to my first job in the grocery industry back in 1981. In those days CPC was on the upswing, and its market share continued to grow throughout the 1980s and into the mid-1990s. A letter to CPC members dated May 15 made the challenge clear. Also in the news are some product announcements. 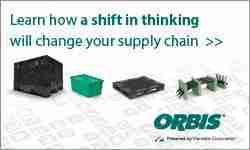 IPP Logipal, one of the two other key companies competing with CHEP in the European pallet rental business, has announced the launch of new pooled pallet box solution. Meanwhile UK distributor Goplasticpallets.com is featuring the lightweight CABKA-IPS CPP 110 PE plastic pallet, and in an announcement we blinked and missed a few months back, Polymer Logistics has rolled out its Roll n’ Pall, a versatile unit that can be manually wheeled, or with wheels retracted, function as a conventional pallet. Of course, the concept of pallets with wheels isn’t exactly new, albeit with pallet platforms. Dating back to the first half of the 20th Century, pallet platforms were classified as “live” – having wheels, “semi-live” – having wheels at one end and legs at the other end, or “dead” – having pallet legs with no wheels. Just to be clear, there was no category for “undead” pallets…at least that has been proven. Thanks for reading. 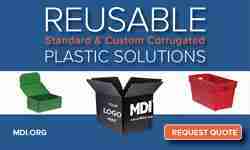 To subscribe to our weekly mailing of The Reusable Packaging News, click here.